What Facts Should I Know about Seizure Emergencies? What is the medical definition of a seizure? 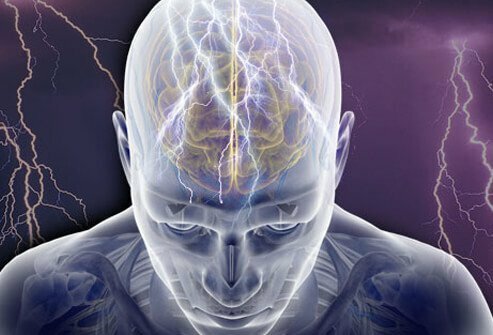 Seizures are uncontrolled electrical activity in the brain that may lead to symptoms that may range from mild loss of attention to violent muscular contractions that can lead to death. Everyone has the potential to have seizures. Some people have them frequently. Seizure disorders vary tremendously. Some people have only an occasional seizure, and other people have daily or more frequent seizures. Another term frequently used in the place of seizure is convulsion. When should you go to the ER for a seizure? Seizures that do not stop within a few minutes. Many people have seizures for reasons that are unknown. Other people have seizures from some condition that affects normal brain functioning. These may include brain tumor, infections, fever, birth injuries, injury, or trauma. Seizures in children are a special category of seizures that are addressed a bit differently. Common generalized seizures often begin when the person cries out or makes some sound. This may be followed by several seconds of abnormal stiffening, progressing to abnormal rhythmic jerking of the arms and legs. A first seizure is a reason to visit the doctor or a hospital's emergency department. For a person with a seizure disorder, a change in seizure patterns or more frequent seizures are reasons to seek medical care. Many people with recurrent seizures may have a seizure and awaken fully. Immediate medical attention is not often needed if the person is fully awake and has not suffered injury and is known to have recurrent seizures. Other conditions, however, call for immediate medical attention. A doctor should evaluate any questionable seizure. Not all of the following diagnostic tests are necessary for every seizure type, and many are not necessary upon first evaluation in the emergency department. Some may be arranged with a primary care doctor later as an outpatient. Turn the person on his or her side after the convulsion ceases. This may help drain any moisture or secretions from the person's mouth and prevent chocking or aspiration. Do not place anything in the person's mouth or try to pry the teeth apart. Observe these items: length of seizure, type of movements, direction of any head or eye turning, amount of time to return to alertness and full consciousness. Until the seizures are well controlled, it is important to avoid driving or engaging in any other potentially dangerous activity that may cause you harm or harm to others if a seizure suddenly occurs. Many states require mandatory reporting of seizures to state drivers' license bureaus and other regulatory agencies. Many patients on seizure medications do very well and at some point in time decide to quit taking their antiseizure medication. This decision may be dangerous for themselves and others. Patients should not discontinue medications unless advised to do so by their physician. For many people with recurrent seizures, one key to prevention is taking prescribed medication on a regular basis. Failure to take antiseizure medications as prescribed is a common cause of recurrent seizures. Certain medical conditions or interaction with other medication can lead to temporary failure of the antiseizure medicine even if taken properly. If the cause of the seizure is discovered, it is important to treat that condition and address whatever caused the seizure. The outlook for someone with seizures usually depends on the cause of the seizure. Investigation by a doctor is usually needed to discover the cause or at least exclude some causes. Most seizures related to medications, drugs, or minor head injury, for example, resolve without specific treatments and do not indicate an ongoing seizure disorder or epilepsy. Most other seizure disorders can be effectively managed with proper medications given under the guidance of your doctor or a specialist known as a neurologist. Some seizure disorders are difficult to control despite medications and other therapies. This situation is rare. Baumann, Robert J. and Amy Kao. "Febrile Seizures." Medscape.com. 8 Jan. 2010. <http://emedicine.medscape.com/article/1176205-overview>.